In a handy squeeze bottle, this dye is perfect for mess and fuss free application! Made with ingredients that are 100% free from animal containing ingredients, this dye is completely Vegan! Hate throwing away unused colour? That's not a problem with this dye, as you can simply re-seal the container and keep the leftovers! The Manic Panic High Voltage Classic Cream Formula Colour Hair Dye in Bad Boy Blue is the best way to let out your inner rebel! 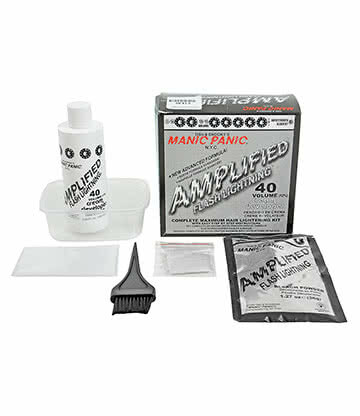 This Manic Panic High Voltage hair dye is formed from high quality ingredients and as a result is certain to give you high quality hair colour! It is also completely vegan friendly and PPD free, so you can use it safe in the knowledge that nothing bad is going in to your hair. Another fantastic thing about this hair dye is that it's long-lasting. 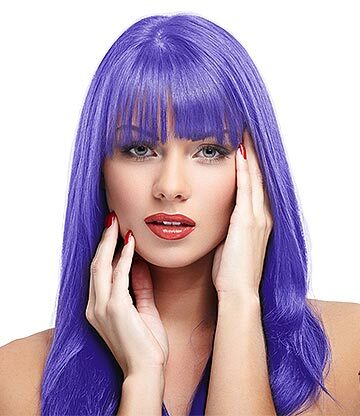 Each application lasts up to 6 weeks, so you don't need to worry about your bold blue hair colour fading too quickly. 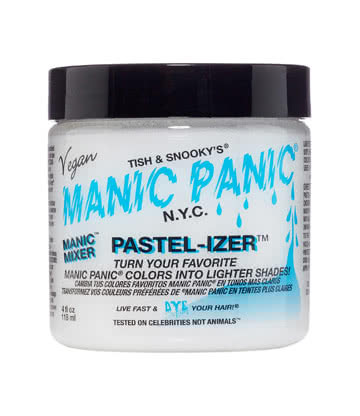 Getting a vibrant hair colour isn't difficult with Manic Panic! 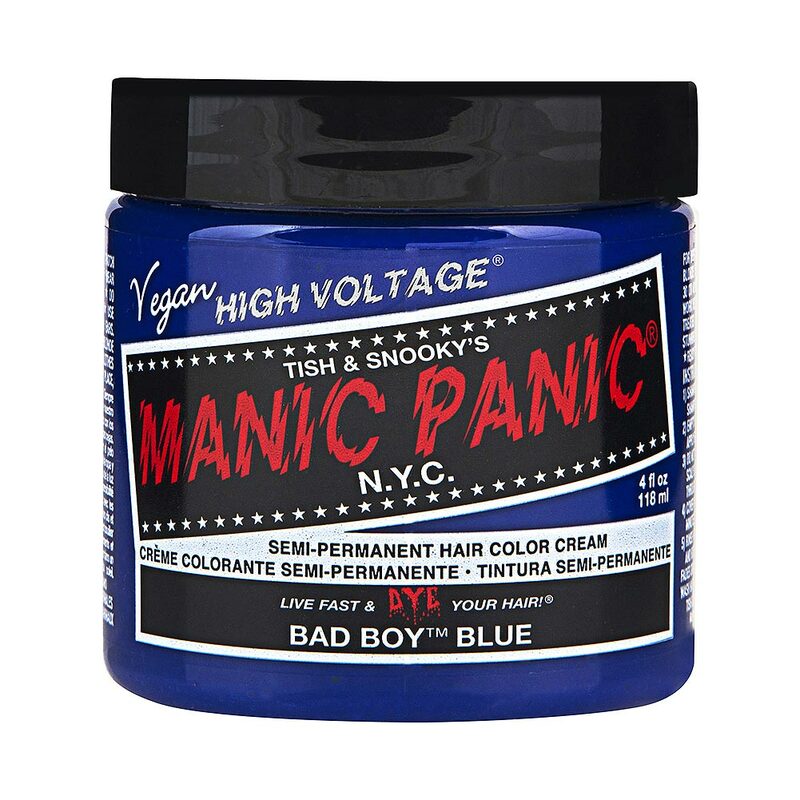 Grab the Manic Panic High Voltage Classic Cream Formula Colour Hair Dye in Bad Boy Blue now! Show everyone that you're a real bad boy or bad girl! Please Note: Hair dye results may vary depending on your hair type, base colour and hair porosity. This dye is not suitable for use on hair with more than 10% grey coverage. Ensure you read and follow the instructions included when using this product.